I am thrilled to say that I’m going to be a Bostik Blogger again this year! I had such good fun last year putting together a craft activity each month and am really looking forward to getting creative again this year. 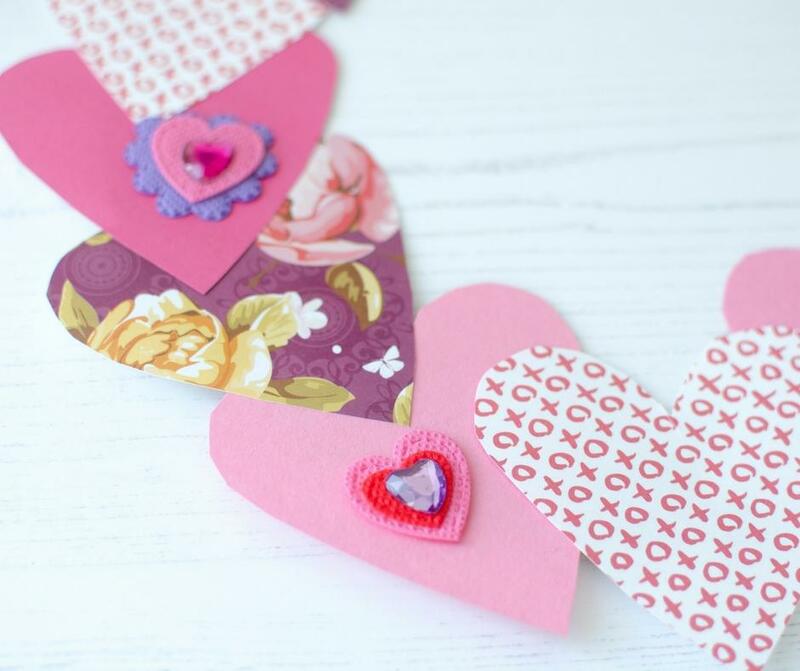 Each month we have a different theme to build a craft activity around, and the first theme of 2018 is Valentine’s day. Now I’ll be honest here and admit that my husband and I have never really ‘done’ Valentine’s day. I think we maybe exchanged cards the first year we were dating but since then the day sort of passes us by each year. This year though, I’m focusing on joy, and so I feel much more like celebrating any and every special occasion going. So the craft activity I’ve chosen for this month is a Valentine’s wreath to hang up at home and help get us all into the spirit of things. 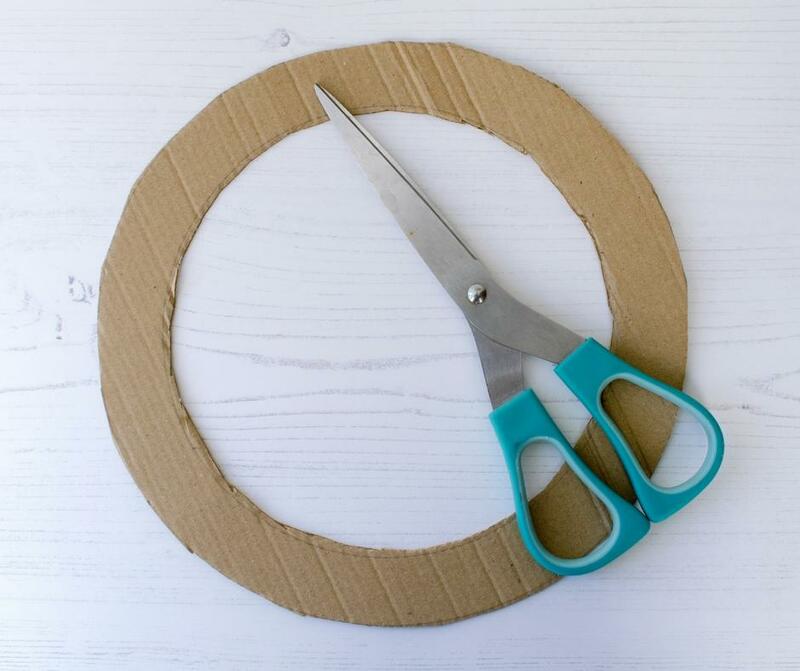 Find two circular items to draw around on your piece of cardboard, to make the base for your wreath. I used mixing bowls for mine. Or if you still have your old maths kit at home you can use a compass to draw 2 circles, one inside the other. Then cut out the wreath base. 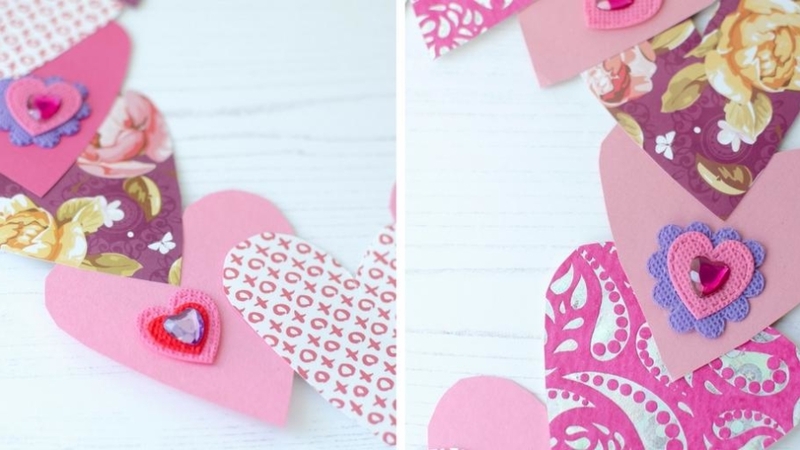 Next draw a heart shape onto the spare bits of cardboard to use as a template. 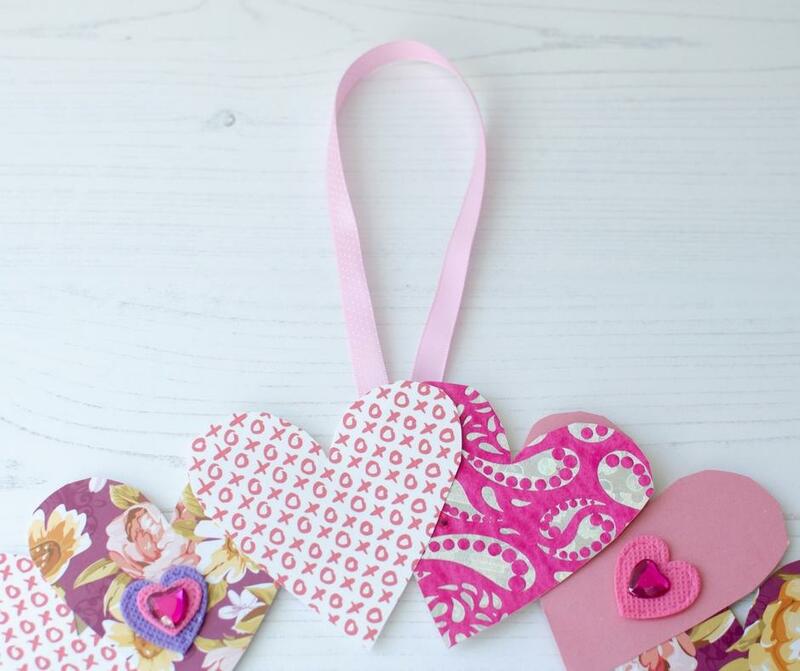 Draw around your heart template on the different pieces of coloured and patterned paper. 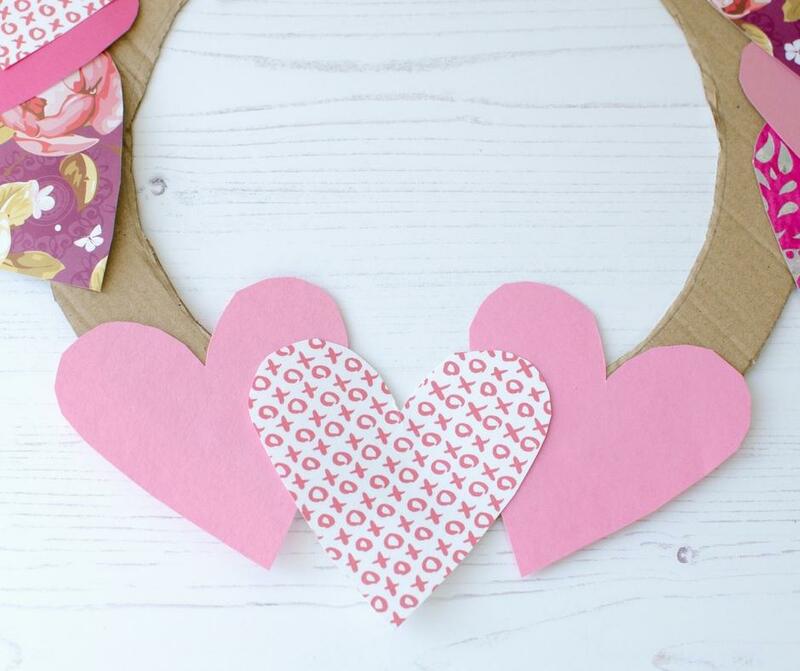 You can place the template onto your wreath base and move it around to work out roughly how many paper hearts you’ll need. 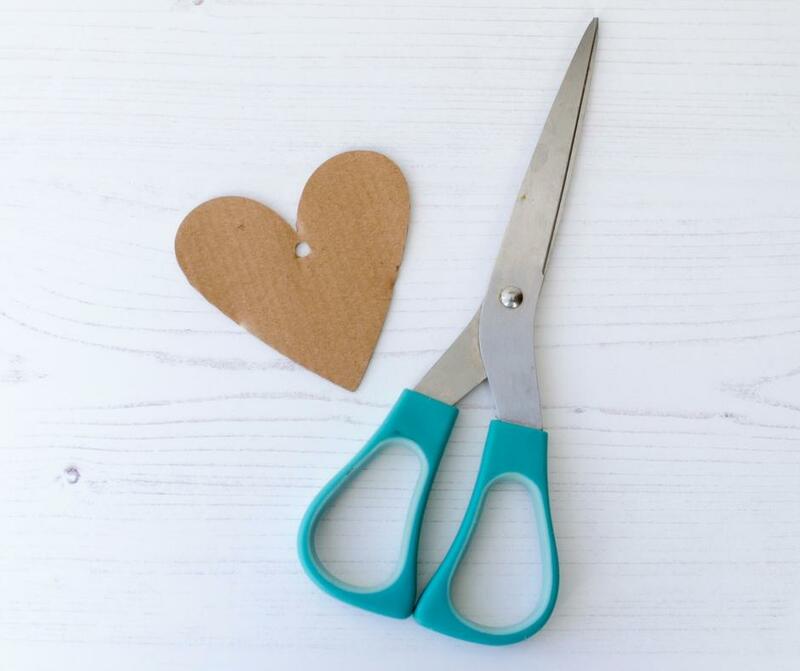 Cut out all your paper hearts. 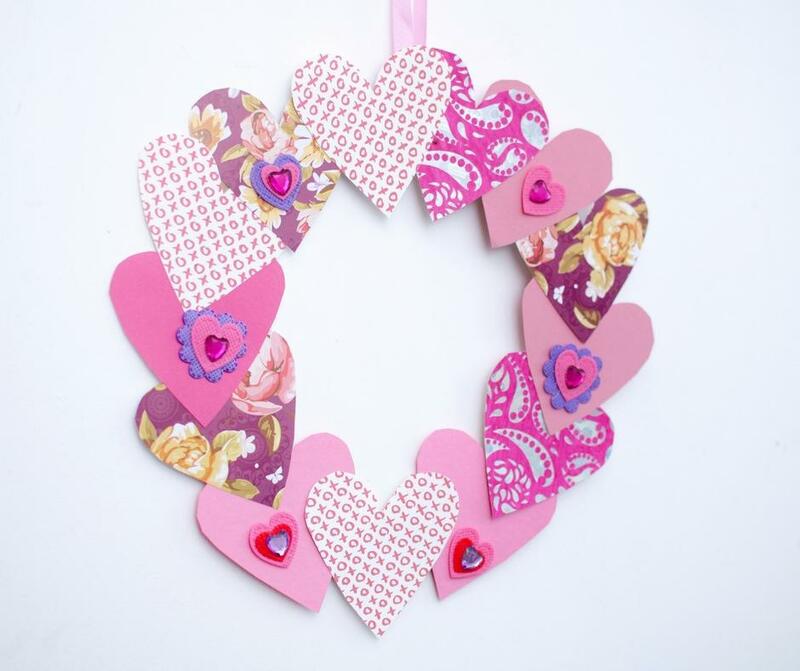 Using glue or glue dots, stick the paper hearts around your wreath base. I kept all my hearts facing up the same way and just worked my way round the wreath from bottom to top sticking them down. But have a play around with your hearts and see what you like best. 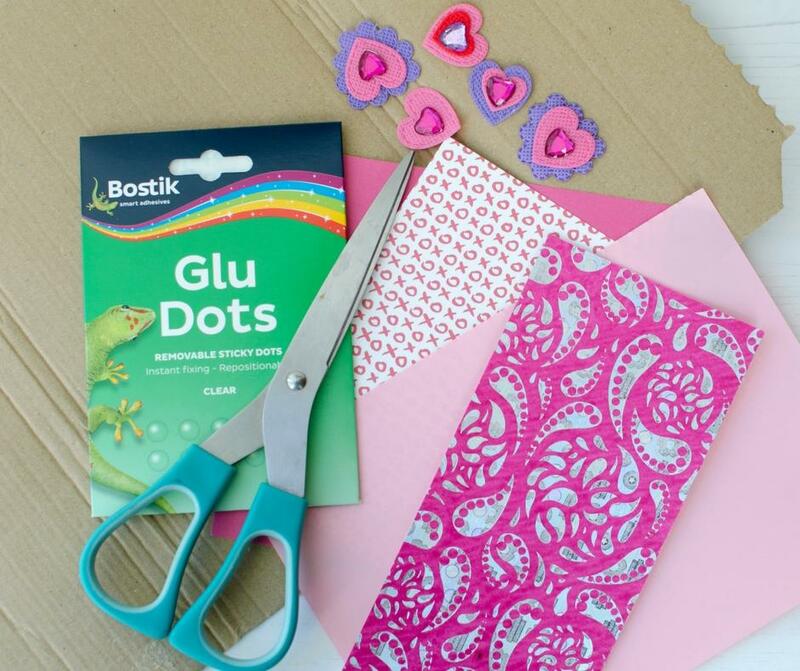 Fill in any gaps or bits that look a little too plain for your liking with love-themed stickers or embellishments. If you really want to go to town with your wreath you can get out the glue and glitter, or just keep it plain and simple if you’d rather. That’s what I love about these kinds of crafts, you can so easily adapt them to suit your personal tastes. Stick a loop of ribbon onto the back of the wreath so you can hang it up. I used a small piece of tape to stick my ribbon on, but you could always use a stapler if you need to. Or you could skip the ribbon completely and just use some blu-tak to stick your wreath up. 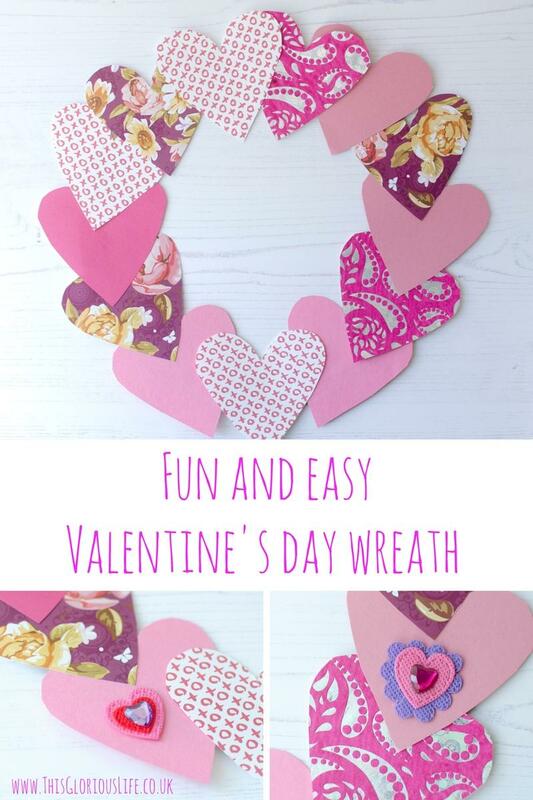 And there you have it, a pretty Valentine’s themed wreath! I’ll be hanging ours up in our hallway so we all feel the love as soon as we walk through the front door every day! 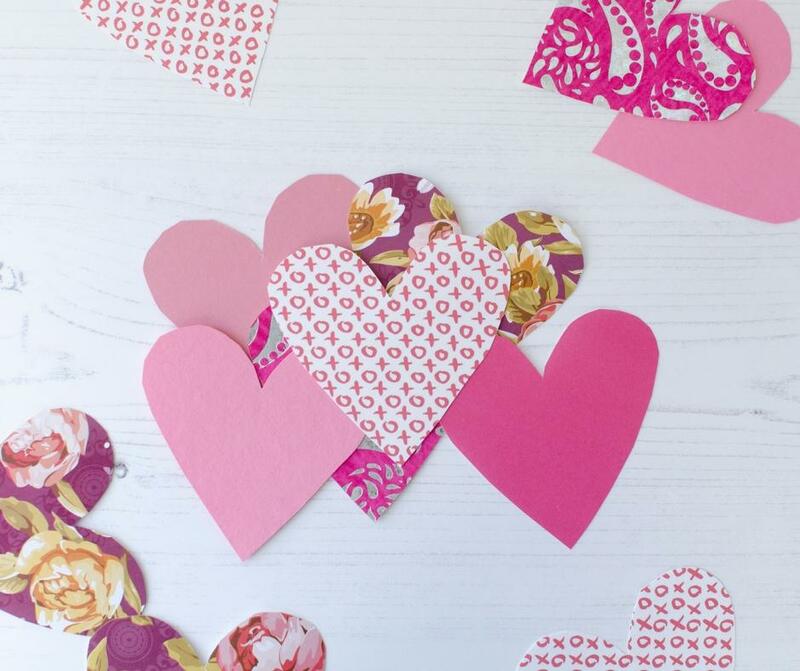 Do you ever put up any decorations as part of the Valentine’s day celebrations? If you’re more like me and don’t tend to make a big fuss on the day, these lovely ideas for romantic valentine’s day dates at home might give you some inspiration for showing your partner how much you care without having to book a table at an expensive restaurant! I was sent a box of craft materials to create this post, but all words, opinions and creations are my own.